Brock Osweiler is an NFL quarterback that currently plays for the Miami Dolphins. He began his NFL career in 2012 with the Denver Broncos which selected him in the second round of the 2012 NFL Draft. Brock would become part of the Denver squad that won Super Bowl 50. After the Super Bowl 50, he signed a 4-year deal with the Houston Texans who would trade him to the Cleveland Browns for a season, he was released before 2017 season began and got re-signed by the Denver Broncos. Here are other facts you should know about the QB. His full name is Brock Alan Osweiler who was born in Coeur d’Alene, Idaho on the 22nd day of November 1990 to Kathy and John Osweiler. He grew up in Kalispell, Montana. Brock is not an only child, he has an older brother Tanner, who also played college football at Montana Tech, Butte. Osweiler attended Flathead High School. Growing up he played both basketball and football for which in the former, he began traveling to other states to play with the Amateur Athletic Union (AAU) basketball teams. After his first year in high school, Osweiler committed to play basketball for Gonzaga University but would later change his mind and focused on college football instead. As a senior, he won the Gatorade Player of the Year Award after he recorded one hundred and eighty-nine passes for 2,703 yards out of 303 passes with twenty-nine touchdowns. He also recorded 162 carries for 700 yards with thirteen touchdowns. After high school, he received scholarship offers from Washington State and Standford but he rather chose to attend Arizona State University where he played college football. In his first year at Arizona State, he played a total of six games, starting one, becoming the first true freshman to start a game for the team since 1993 (Jake Plummer was the first). He ended his first season completing twenty-four passes for two hundred and forty-nine yards with 2 touchdowns and 2 interceptions. During his second year, he also played 6 games starting 1 recording with sixty-two of one hundred and nine passes for 797 yards, 5 touchdowns with no interceptions. He took over as Red Devil’s QB as a junior in 2011 after Steven Threet retired from the position. He ended that season with 4,036 yards and twenty-six touchdowns. NFLDraftScout.com rated Brock Osweiler the 6th best QB in the 2012 NFL Draft. During the 2012 NFL Draft, the Denver Broncos selected Brock Osweiler in the second round as the 57th overall pick after which he signed a 4-year deal with the franchise. His first NFL game was in a game against Oakland Raiders which ended in a 36-6 win. He recorded his first pass in week seventeen and in a game against Kansas City Chiefs, he completed two of four passes for twelve yards. Brock was the backup quarterback when the Broncos won Super Bowl 50. He ended his 2015 season with one hundred and seventy completions out of two hundred and seventy-five attempts for 1,967 yards with six interceptions and ten touchdowns. He also rushed for sixty-one yards on twenty-one attempts. 2015 marked the end of his deal with the Broncos. In March 2016, he signed a four-year deal with the Houston Texans worth $72 million with $37 million as guaranteed money. His first game with the team was against the Chicago Bears and he made 231 passing yards with two touchdowns and one interception. In March 2017, he was traded to the Cleveland Browns but released in September after the Browns named DeShone Kizer as their new starter. In that same month, Brock signed a one year deal with the Denver Broncos after Paxton Lynch (backup QB) suffered a shoulder injury. At the expiration of his one-year deal with the Broncos, Osweiler signed a new deal with the Miami Dolphins in 2018. His one year deal with the Broncos in 2017 was worth $775,000 ( NFL’s minimum). The Browns had to pay the remaining $15.25 million of Osweiler’s $16 million guaranteed money. His current net worth is estimated at $40.5 million. 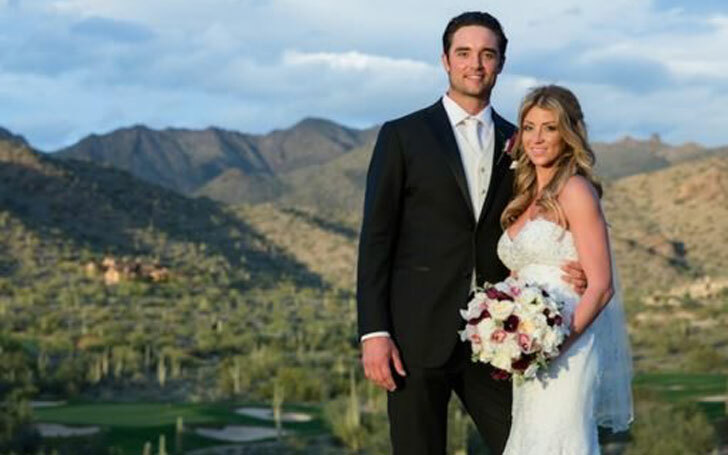 Who is Brock Osweiler’s Wife? The NFL star is happily married to Erin Costales, his longtime girlfriend. After dating for several years, the couple decided to tie the knots in a small but grand ceremony that was attended by a few friends and family members. In 2017, the couple welcomed their first child – a baby girl named Blake Everly, who was born on the 9th day of April 2017.